Pedestrian accidents are more common than you might want to believe. The LA Times reported that pedestrian deaths from accidents and collisions in California are statistically more likely than in any other state. In fact, in the year 2014, a surprising 23 percent of motor vehicle fatalities involved pedestrians. Most of those pedestrian deaths tended to occur at night while the victim was walking or jogging without wearing any reflective gear. Many drunk pedestrians also regularly become victims. Fortunately, Davis tends to be a relatively safe city for pedestrians. According to the California Office of Traffic Safety, for every one-hundred car crashes in Davis, only five involved pedestrians. That said, accidents do happen, and they can be quite brutal. 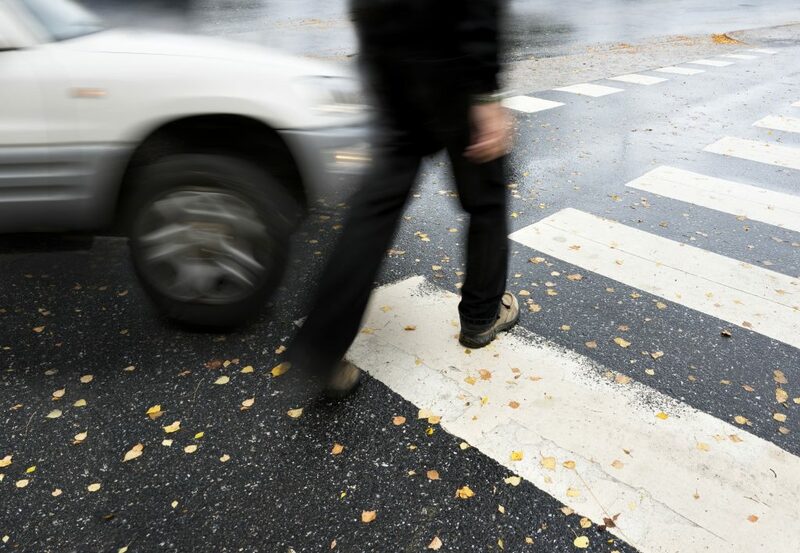 While the majority of pedestrian accident lawsuits filed involve a car running into a pedestrian, other types of pedestrian accidents are also common and can be the basis for a personal injury or wrongful death lawsuit. Pedestrians who walk, run, or jog on a daily basis know that there are many possible hazards that are immediately dangerous. Cars are obvious dangers, but motorcycles and city buses also pose great dangers on the roadway. Additionally, sidewalk hazards such as cyclists and skaters can result in serious collisions causing injuries. Even if you are not certain if you have suffered an injury that may merit a lawsuit, it is worthwhile to contact a Davis pedestrian accident lawyer to assess your legal options. The human body is simply not designed to withstand the impact of an oncoming car. Most motor vehicles weigh in excess of five thousand pounds. If a pedestrian is hit by a car, truck, or SUV, they usually bear the brunt of the damage. Medical Bills and Related Expenses: in California, most injury cases result in an award of the total cost of all current and foreseeable future medical bills. Lost Income and Earning Capacity: generally, any wages lost while the victim was hospitalized or in recovery are compensable. Additionally, if the accident resulted in a temporary or permanent disability, future lost wages can also be recovered. Pain and Suffering: California Law allows accident victims to recover damages associated with the hardship of surviving an accident. In addition to the economic and non-economic damages described above, you could potentially pursue a unique form of damages known as punitive damages. These are damages intended to рuniѕh the defendant that caused the pedestrian accident and send a clear signal that their conduct will not be tolerated. Though, not all personal injury cases warrant a pursuit of punitive damages. These unique damages are governed by California Civil Code Section 3294 which stipulates that punitive damages may only be pursued when there is convincing and clear evidence that the defendant’s actions were fraudulent, oppressive, or was committed with malice. “Oppressive conduct” is generally considered to be an action that subjects a person to cruel and unjust hardship in conscious disregard of their rights. In the personal injury context, punitive damages may be pursued when a defendant’s actions were particularly egregious and those actions proximately caused the plaintiff’s injuries. For example, if a driver was heavily intoxicated and speeding when they hit you or a loved one, that may serve as the basis for pursuing punitive damages. In California, an injured pedestrian must file a lawsuit within two years of becoming injured. If that lawsuit involves either city or state governmental entities such as city buses or roadwork maintenance vehicles, the government must be notified of your personal injury claim within six months. While these filing deadlines might seem lengthy, they are not, especially when you factor in the additional time for a lawyer to investigate and examine your potential claim. That is why it is so important to contact a lawyer as soon as possible to allow enough time to conduct a thorough investigation of your accident. Some accident victims are hesitant to contact a personal injury attorney because they think they will be on the hook for large legal fees. However, the vast majority of personal injury lawyers working in Davis and across California operate on a contingency fee basis. This basically means that rather than charging you an hourly fee or making you pay a big retainer fee, the law firm will not charge you anything unless and until we obtain a financial recovery on your behalf (typically through settlement or jury verdict). The contingent fee is a percentage of the total legal recovery. In most cases, it ranges from 33 percent to 40 percent, depending on the facts of your case. Getting hit by a vehicle can be a life-altering event that completely derails your future. Many victims of pedestrian accidents wind up suffering permanent, debilitating injuries such as paralysis, nerve damage, or a traumatic brain injury. A catastrophic injury may take months, or even years, to recover from, if at all. This is why you should hold the reckless party responsible by hiring an experienced Davis pedestrian accident attorney. I’m Ed Smith, a Davis pedestrian accident lawyer. If you or someone you care about has been injured in a Davis pedestrian accident due to the negligence of someone else, please reach out to me for free, friendly advice at 916.921.6400. Verify my client reviews by following the links here: Yelp and Avvo and Google. I am a proud member of the Million Dollar Forum. An organization that allows entry to injury lawyers with verdicts over $1 Million Dollars. For a listing of some of my Verdicts and Settlements, please click here. For information, log onto: www.autoaccident.com.